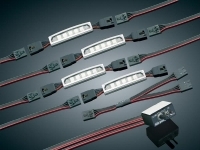 When using Halogen Silver Bullets as additional driving lights, or any Küryakyn Driving Light Bar, we strongly recommend wiring them separately to avoid overloading the headlight circuit. This kit provides you with a switch, relay, universal wiring harness and general instructions for installation. 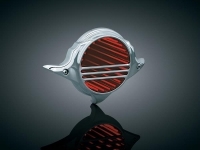 It is not intended for any particular application, but is easily adaptable to any motorcycle. This controller allows you to upgrade your new or existing Lizard Lights or Infinity Covers to be controlled by a compact remote control. The remote control allows you to turn the lights on & off; select steady-on, flash, or paint mode; & adjust rate-of-flash or rate-of-change in paint mode. Each kit includes switch receiver and one remote control. Replacement remote control units are available separately (P/N 1305). Only one remote can be programmed to a switch receiver at a time! New series - 30% brighter than previous version! All lights, in unison, continuously fading into and out each of the seven colors. The rheostat can be used to adjust how quickly the lights fade from one to the next. Get twice the output & a much better sound! Küryakyn has teamed up with Wolo to bring you the best & easiest to install air horn on the market. Plug-n-Play installation & a heavy-duty maintenance free compressor will provide years of dependable service & incredible sound. Featuring a 118 decibel -530/680Hz Dual-Tone Air Horn, you're sure to be heard! 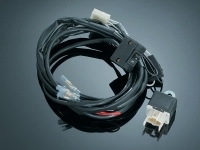 Includes wiring harness and mount for 3/4" to 1-1/2 " diameter tube. Typically mounts on front down tubes; requires 2" of clearance on back side to mount horn with clearance from shift/brake pedal. Note: NOT suggested for motorcycles with fairing lowers or Victory Vision & Cross Series with shrouded down tubes, Yamaha Roadliner/Stratoliner or Venture! alcohol pads, dielectric grease, cable ties and spare adhesive pads. Long Lizard Lights are a seven color, flexible, low profile L.E.D. 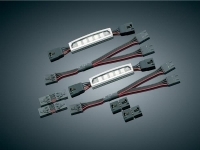 lighting alternative ideal for a wide range of applications & mounting options. A trouble-free way to light your ride, Long Lizard kits include two 8" lights with 12 seven-color L.E.D. 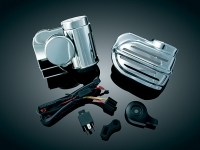 's per light for the perfect fit under most H-D & metric tanks. Also works great under saddlebags for cool ground lighting effects. Get a smooth, even glow without the spotlighting of pod style L.E.D.'s. Purchase a Lizard Light controller (P/N 4715) & make your Long Lizards a great starter kit, or add Long Lizards to your existing Super Lizard Light (P/N's 5021, 5022, or 5023) set-up for even more glow! Simple plug-&-play wiring makes installation easy & includes everything you need. 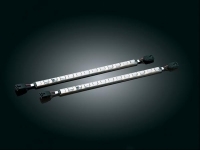 Long Lizard Lights do not come with a controller (P/N 4715) & will flex to a maximum 10" radius. One Long Lizard Light is equal to two Super Lizard Lights. Let this cover take you to infinity and beyond with it's 7-color L.E.D. spectacle of lights. This truly unique cover comes to life from its mirror-like chrome resting state to a virtual vortex of lights once ignited. Make all your friends envious of this one-of-a-kind cover! Infinity Cover for stock Twin Cam Air Cleaner. Includes switch and all wiring. 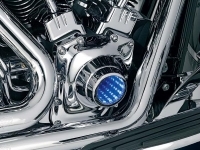 Note: '07-'09 Twin Cams (except '08-'09 Dyna Models) can be outfitted with an '06-earlier H-D outer cover, H-D P/N 29121-01, which will allow installation of 8416.